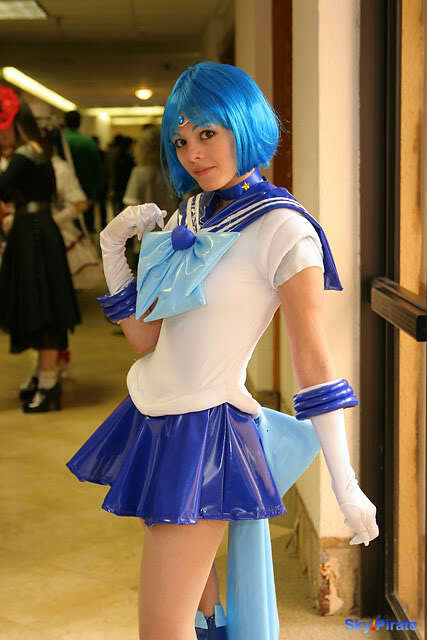 Sailor Mercury Cosplay. . Wallpaper and background images in the Sailor Mercury club tagged: ami sailor mercury sailor moon mizuno cosplay. This Sailor Mercury fan art might contain capot, picar capot, capota, boina, boina de gato por lebre, hip boot, and thigh boot.